The Canadian province of Ontario looks like that country’s California, though its in much worse shape than America’s bad seed. 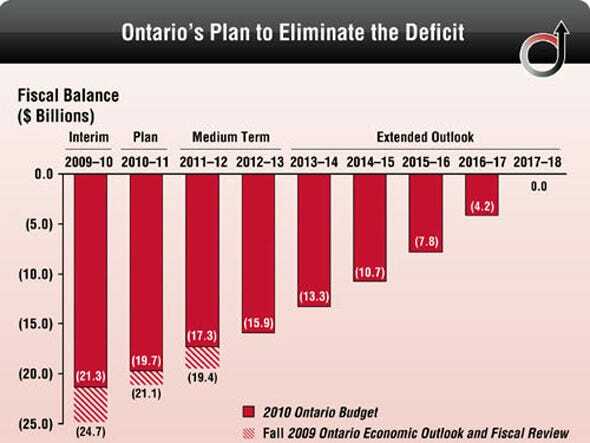 Ontario has a $21 billion deficit, only $1 billion more than California, according to Mish’s Global Economic Trend Analysis. But Ontario has less than a third the population of California, with 11.4 million citizens to California’s 37 million. 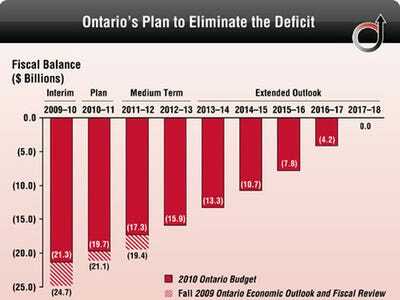 The province has but together an austerity budget, with the aim of cutting Ontario’s deficit. But right now, that plan looks meek only notching $6 billion in savings for the year.